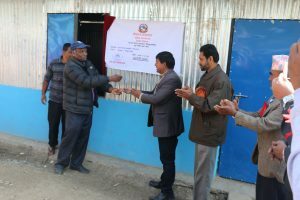 The Shree Ban Sangu Secondary school of Jure VDC was affected by huge land Slide in 2014 and further destroyed by earthquake in April, 2015. Whole village was wiped out in the slide. The school too was badly affected and children had to study in temporary learning center. NJSI took initiative of building the school. As construction work of the school was over, it was handed over to the School Management Committee on 10th January 2017. This day was the awaited day for all as once again children could have suitable education environment. On this joyful occasion the members of the School Management Committee, Teachers, Parents and students were gathered to express their gratitude to NJSI. The NJSI staff and the invited guests were welcomed, and the children felicitated the program by performing cultural dances and songs. The key of the school was handed over by Fr. Roy Sebastian SJ to Mr. Shyam Thapa, a resource person from Education department of Sindupalchowk. Fr. Roy Sebastian SJ, the director of NJSI and Fr. Arulanandam SJ, the District In-charge of NJSI, wished them all the best of luck for their future endeavors and encouraged them to work for the development of Nepal. The School Management Committee as a token of their gratitude gave NJSI an appreciation certificate. In Chapadi-1 village there is a group called Sundevi women group. This group does not have any place to gather and conduct their activities. They conduct their meeting and activities in the open space, sometimes in their own houses but place is not enough and have lot of inconvenient. To support this group NJSI is helping to build a hall. 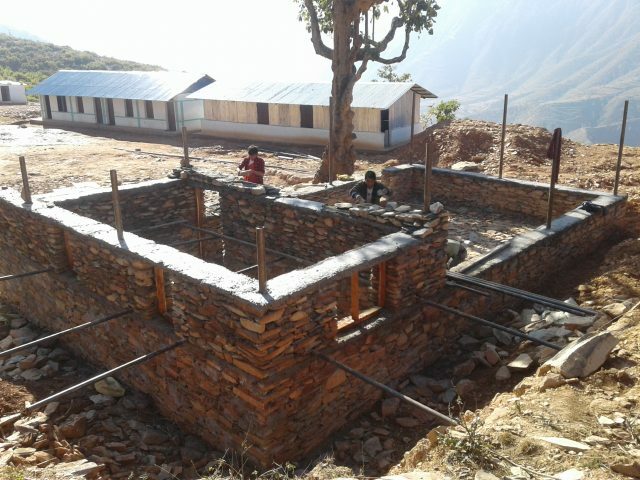 The construction work of women’s Safe Space’ is going on at Rakathum VDC in Ramechhap District. The framing of window, doors is completed and wall has been raised. The construction work, was started on 20th November 2016 and scheduled to be completed at the end of January 2017. The NJSI has taken initiative to build the women friendly toilet too. The constructed women safe space facilitates the 60 women of the locality. It will be beneficial for the women to conduct meetings, trainings and social discussions such as gender based violence and community development work. As many as Volunteer and laborers have been working to complete the construction on time. 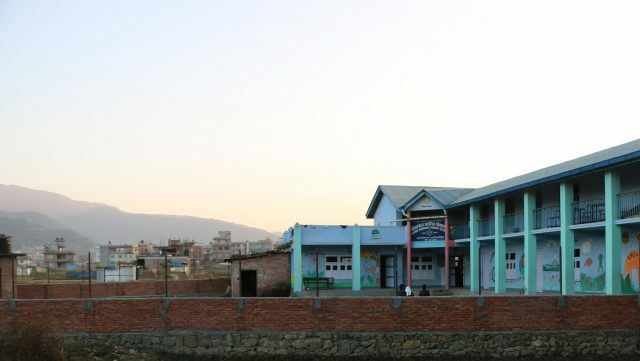 Shree Bhanudaya Primary school is located in Siddhipur area of Lalitpur district. In this area many people are migrated from other districts of Nepal for employment opportunity. The Nepali medium school is run by government which has ECD to 3 class. The number of the students are increasing gradually due to compound wall building as it gave the students a sense of security. Without wall school had become a place of animals, alcoholics and drug addicts. The School management committee requested NJSI to support to build the compound wall. NJSI conducted an assessment and agreed to support the school by building compound wall in collaboration with the principal and the teachers.